Relaxed low profile baseball caps made with 55% Hemp and 45% certified organic cotton and colored with eco-friendly reactive dyes. Fair Hemp low profile baseball caps are the perfect outdoor accessory. 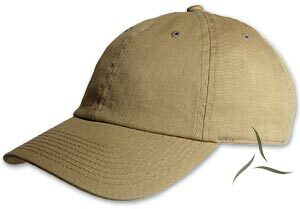 Hemp offers far more ultraviolet protection than traditional cotton (UPF 50+), making it the ideal material for headwear. Hemp is also well known for its strength and durability so a Fair Hemp baseball cap will last far longer than a traditional cotton cap.